Talented stage and screen stars have been tapped to join Tony, Oscar and Emmy winner Glenda Jackson in the previously announced production of William Shakespeare’s King Lear. 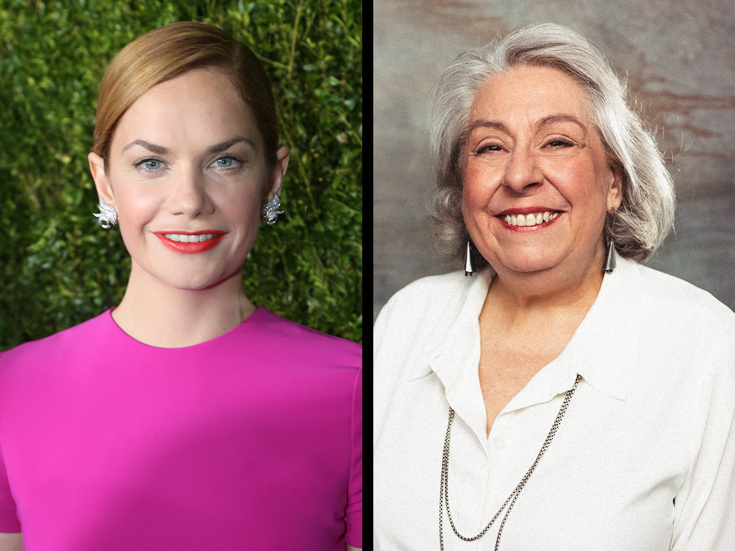 Ruth Wilson, Jayne Houdyshell, Elizabeth Marvel and Pedro Pascal are set to join the cast. It has also been announced that Sam Gold will direct; Deborah Warner directed Jackson when she previously played the role in England to great acclaim. The show will begin previews on February 28, 2019 and open on April 4 at the Golden Theatre. The limited engagement is scheduled to run through July 7. Keeping up with the trend of gender-blind casting, The Affair's Ruth Wilson will take on both the roles of the monarch's daughter Cordelia and the King's fool. Tony winner Houdyshell is set to play the traditionally male role of the Earl of Gloucester. Game of Thrones and Narcos star Pascal will play the Earl's illegitmate son Edmund. House of Cards alum Marvel will play Lear's scheming daughter Goneril. Also joining the cast are Aisling O'Sullivan as Regan, Lear's other daughter and Carousel's John Douglas Thompson as the Earl of Kent. Also among the principals will be Sean Carvajal as Edgar, Dion Johnstone as the Duke of Albany, Matthew Maher as Oswald and Russell Harvard as the Duke of Cornwall. Additional casting will be announced at a later date. Though she has numerous onscreen credits, Wilson is known for her performances in Luther and The Affair. Her film credits include Anna Karenina, The Lone Ranger, Saving Mr. Banks, Suite Française, Locke, I Am the Pretty Thing That Lives in the House and Dark River. She is a three-time Olivier Award nominee and two-time winner, earning the Best Actress for the titular role in Anna Christie and Best Supporting Actress for her portrayal of Stella Kowalski in A Streetcar Named Desire. Houdyshell won a 2016 Tony Award for The Humans. She was also Tony-nominated for Follies, Well and A Doll's House, Part 2. Houdyshell's off-Broadway credits include Coraline, True Love, Much Ado About Nothing, The Pain and the Itch, The Receptionist and The Language Archive. Known for roles in Game of Thrones and Narcos, Pascal as also appeared on the New York stage in off-Broadway productions, including Much Ado About Nothing, Maple and Vine, Sand, Some Men and more. Marvel has appeared on The District and House of Cards. Her numerous Broadway credits include Picnic, Other Desert Cities, Top Girls, Seascape, An American Daughter, Taking Sides, Saint Joan and The Seagull. King Lear is set to include an original score composed by Philip Glass, set design by Miriam Buether, costumes by Ann Roth, lighting by Jane Cox and sound by Scott Lehrer. Glenda Jackson stars in the titular role in Shakespeare's classic.